Yuwa India has successfully raised funds & reached the goal amount. We thank all the 49 generous supporters for their kindness. Build a school that uses football and education to combat child marriage and human trafficking in villages in Jharkhand. Born into extreme poverty and ubiquitous presence of alcoholism, for all practical purposes girls from rural Jharkhand enter adulthood soon after age 10. A large number fall prey to human trafficking while the others begin training for domestic work including hard physical labour. All this while while boys enjoy the perks of youth like education and play. After having their childhoods abruptly taken away girls are usually married off to an older man at the age of 15. At Yuwa we are breaking this cycle by facilitating daily football and running a school. This a basic childhood that every kid deserves. Your contribution towards their school will take this program to hundreds more children then we have been able to reach over the years. This will multiply its effect to all people that these girls’ stories reach. Society teaches girls to fit in. Yuwa coaches girls to stand out. 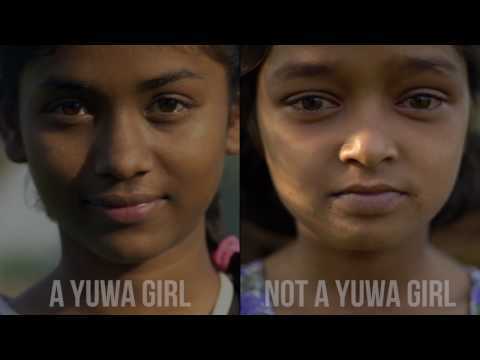 At Yuwa, we have been using the power of football and education to combat child marriage and human trafficking in villages in Jharkhand since 2009. Every morning 300 Yuwa girls wake up before dawn and join their football teams on empty fields across the district. Older girls coach younger girls, recruiting teams locally and conducting practice sessions independently every morning. After practice, 86 of these girls come to Yuwa’s seven-room school for an education at par with the best schools in India. Yuwa girls have been to tournaments in Europe and America -- even won medals at some. They are regular speakers at TED Talks and universities across India, and are better prepared for life than any boy or girl they know. Playing a team sport, getting a complete education, being in a positive environment and interacting with other children is giving them a childhood every girl deserves. They’re transforming not just their own lives, but drawing attention to the rights of a girl child in the minds of every person who is touched by their stories. This year we had to close admissions because of the huge interest from girls’ parents in Yuwa School. Now we’re building a school for 300, taking the number of daily footballers to 1600. It will be a 20 classroom facility with a football ground on-site, computer and video lab, library, paramedic support, a canteen and an amphitheatre. The student coaches, now 30, will increase to 112 bringing the reach of the program to more than 1600 girls every day. These girls will continue changing the perceptions of girl child rights among thousands of people in their communities, as people in villages see batches after batch of confident and accomplished athletes and students graduate from the new Yuwa School. Join us. You can make the Yuwa School a reality with your donation today! 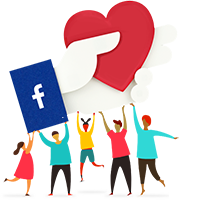 These will be campaigns for specific elements of the school that individuals can adopt or brands can sponsor. Eg: Field levelling, library, medical facilities, science and lab, computer room & video studios. Major addition: A residential block for students and staff. After school hours students can concentrate on extra curriculars and homework rather than get involved with household chores as they do now. The staff quarters will facilitate teachers and volunteers from all over India and the world. Major addition: 1 additional floor to both the educational and residential blocks doubling the student capacity and a professional floodlit football ground. Feel free to ask Yuwa India for a new update on this Fundraiser. We scored 2 more buses! Mahindra Cosmos gets some back-up getting the girls to their games in the morning and to school in the day. Since this is not a part of construction of the new school building we are not including it in this campaign total but wanted to share the big news anyway. It's halftime and we're halfway home! Just when we were coming to the end of the first half of the campaign and looking around for some support from the crowd, in came a couple of really big ones! Thank you dear anonymous organisation, some regular supporters and a lot of people who are donating for the first time. With ? 30,00,000 in the bank what we thought was a very ambitious target is halfway met. It feels like going in for the break for the break leading 5-0! We have been really blown over by our small yet massively generous group of supporters right from Jharkhand all the way to the US and the UK. Please help us spread the word by sharing the short url - ket.to/yuwa - so more amazing people like you can help us hit the target in the next 30 days. Thank you and Jai Yuwa! Your message will be directly emailed to Yuwa India and you will receive his/her response on the email address entered below. Your message will be directly emailed to Yuwa India Trust and you will receive his/her response on the email address entered below.